The Color Block iPad case line is for the bold and adventurous. Featuring a vibrant two-tone cover, the iPad case collection is inspired by the diverse landscape of Northern California. Combinations include Granite/Poppy, Meadow/Lake, Tahoe/Sunrise and Sand/Earth to encompass the myriad of environments that surround us. The Color Block collection features our award-winning DODOcase design and an eco-friendly core bamboo tray. Our original award-winning book bound iPad case featuring a solid grain, impact-resistant, hand finished bamboo tray. 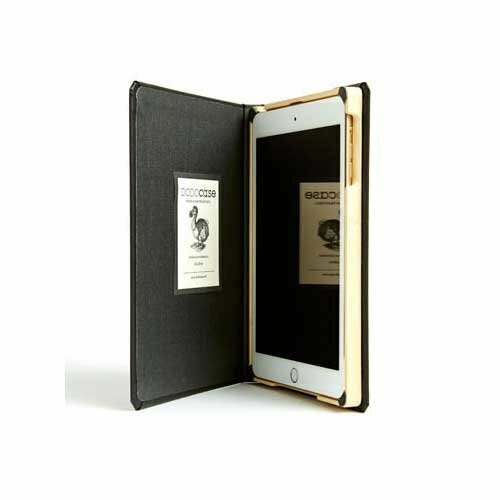 Strong yet light case features our traditional book style and a No-Slip Clip for single A-frame mode ideal for both soft and hard surfaces. Our slimmest, most durable case yet! 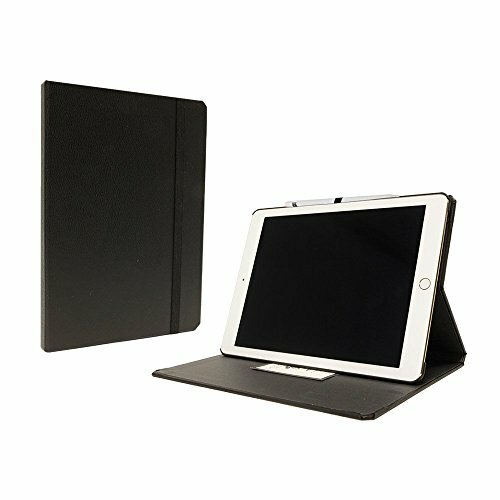 Each handcrafted iPad Pro 9.7" case is made in San Francisco using traditional bookbinding techniques and features a smart cover with magnets to activate sleep/wake functionality. Still inspired by the artist journals of years gone by, but made with a more durable and slimmer profile polymer tray, 27% thinner than our old tray. This new tray provides a snug fit for your device. All corners are protected, but there is still open access to all device ports and buttons. 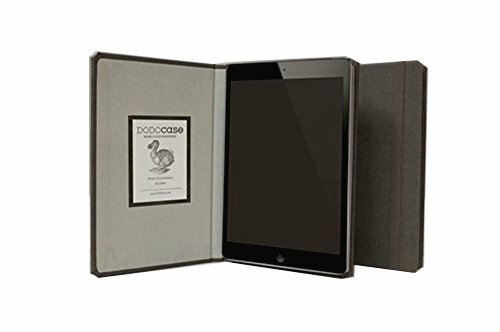 Our original award-winning book bound iPad case features a solid impact resistant bamboo tray and a folding back cover to help position your iPad for optimal use and keyboard compatibility. Simply lift the bamboo frame to position the case into one of its three pre-set angles (45-60 degrees) and adjust accordingly. The Multi-Angle case stands up on a variety of both hard and soft surfaces and is ideal for typing, reading, watching videos, cooking and presentations. 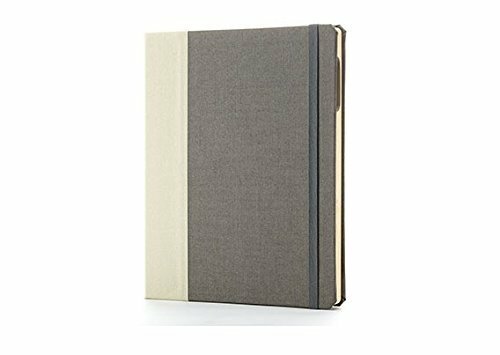 Designed for the true minimalist who appreciates on-the-go portability and protection, the new Hardcover for iPad mini is slim, lightweight and has the look and feel of a hard-bound book. Each one is handcrafted in San Francisco using traditional bookbinding techniques and features black Moroccan cloth exterior and a colorful interior. Case ConstructionMade from black Moroccan cloth and constructed using traditional book binding techniques in San Francisco, the cover of the DODOcase for iPad 2 or 3 is designed to fold back to be used as a stand. An elastic strap keeps your iPad 2 or 3 protected while on the go. 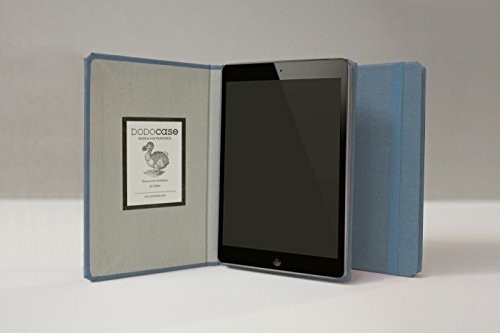 Offering a new solid core bamboo, complete with a four-piece tray design, the DODOcase perfectly matches the curvature of your iPad 2 or 3 while providing access to all buttons, ports and camera. 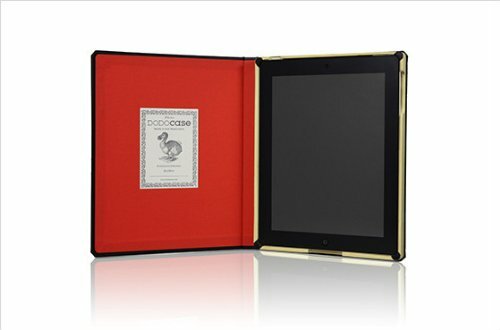 Style and FunctionThe DODOcase for iPad 2 or 3 is designed with angles appropriate for both typing and video functionality. 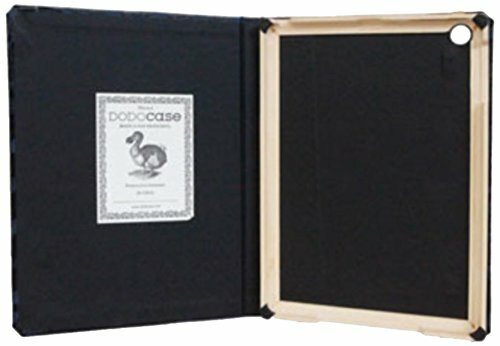 Borrowing from the familiarity of a book, the DODOcase Classic offers functionality, style, and sophistication to your new iPad 2 or 3. 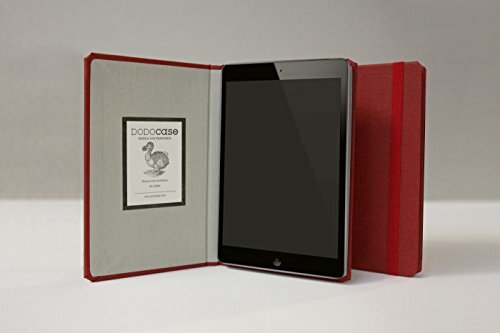 DODOcase will keep your iPad 2 or 3 protected and you looking sharp. The Leather Craft Collection is made from the best American tanned leathers we could find - specifically from 80-year-old Thiele Tanning Company in Milwaukee, Wisconsin. Known for its high quality leathers for the footwear, garment and leather goods industries, Thiele oil tanned leathers have been used in the construction of loggers boots providing the perfect balance between rugged durability and stylish functionality. 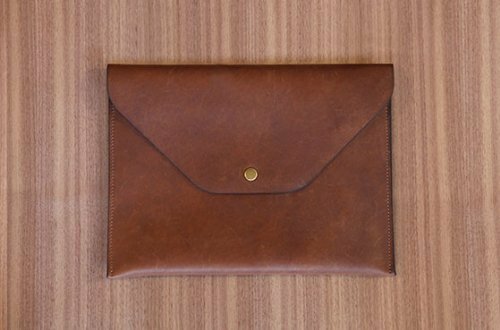 Its the kind of leather that withstands the true test of time and develops its own unique character with everyday use. We figured if it was good enough for lumberjacks, it was good enough for DODO case. Full review here: http://www.ipadminicases.com/ipad-mini-cases/dodocase-ipad-mini-cases-hands-on-review/ Hands on review of DODOcase's HARDcover for iPad Mini and Classic cover for iPad Mini. Now with actual iPad Mini to test it out! 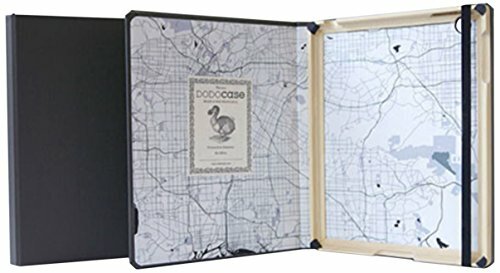 Compare prices on Dodocase Ipad at ShoppinGent.com – use promo codes and coupons for best offers and deals. Start smart buying with ShoppinGent.com right now and choose your golden price on every purchase.